I love Isabel Ashdown’s writing so as soon as this was available for pre-order I ordered it. It was a lovely surprise when it appeared on my Kindle on Thursday as I’d forgotten it was release day. I want to read this soon – just need to read a few review books first. I’ve seen this book around on social media and thought it sounded like a fascinating novel. I spotted it on a deal for 99p this week so decided to give it a go. I didn’t realise until I bought it just how long it is (over 700 pages!) so it might be a while before I have the time to sit and read this, hopefully not too long though. This is a book I spotted in Kindle’s recent sale and thought it sounded interesting. I’m enjoying non-fiction at the moment so am looking forward to reading this one. Author examines how people can drive creative, moral, and organisational progress—and how leaders can encourage originality in their organisations. I can’t resist books about de-cluttering (yes, I know there’s an irony in that!) so I grabbed this one in the Kindle sale too. I enjoyed Marie Kondo’s first book so am really looking forward to reading this one. This is my third Kindle sale purchase. I’m really drawn to books about human struggles at the moment, even if they’re not in any way related to what I’m going through it’s still really helping me to read about what other people have gone through and achieved. I really hope to get a chance to read this one soon. In the 1970s, Diana Nyad was widely regarded as the greatest long-distance swimmer in the world and set many world records, such as circling Manhattan Island and crossing the 102.5 miles between the Bahamas and Florida. But one record continually eluded her: becoming the first woman to swim between Cuba and the Florida Keys without a shark cage. Finally, in September 2013, after four failed attempts and at the age of 64, Diana completed the crossing after two days and two nights of continuous swimming-53 consecutive hours, 110 miles. Millions of people watched her and cried and cheered and were dazzled and amazed by her tenacity and courage. This memoir is a dramatic, page turning account of the epic endurance quest that led to that moment, and is also a galvanizing call to live life boldly, in-the-moment-fearlessly, passionately, with no regrets. What makes this book special is that it not only recounts an astonishing and hard won triumph, though it does tell the story of an extraordinary and improbable victory. What makes this book, and Nyad herself, so incredible is the fact of her monumental courage in the face of failure. Nyad failed, and failed, and failed, and failed, but never gave up, and this memoir shows her unwavering belief in the face of overwhelming odds. It is about perseverance, tenacity, and commitment on an epic scale. I’ve had this book on my wish list for ages and decided to go ahead and buy it this week. When Maisie is struck by lightning, her face is partially destroyed. She’s lucky enough to get a face transplant, but how do you live your life when you can’t even recognize yourself any more? She was a runner, a girlfriend, a good student … a normal girl. Now, after a single freak accident, all that has changed. As Maisie discovers how much her looks did and didn’t shape her relationship to the world, she has to redefine her own identity, and figure out what ‘lucky’ really means. I’d forgotten that I’d requested this on NetGalley as it was such a long time ago, so it was a nice surprise this week to get an approval email. I’m very keen to read this book so I don’t think I’ll be too long getting to it. One hot August day a family drives to a mountain clearing to collect birch wood. Jenny, the mother, is in charge of lopping any small limbs off the logs with a hatchet. Wade, the father, does the stacking. The two daughters, June and May, aged nine and six, drink lemonade, swat away horseflies, bicker, sing snatches of songs as they while away the time. I really enjoyed Try Not to Breathe so have been eagerly anticipating this new book by Holly Seddon, it’s great to have a review copy to read and I can’t wait to read it. I’ve heard so much praise for this book on Twitter recently that I was very keen to read it myself. I’m happy to have a review copy now and hope to read it very soon. I was contacted by the publicist for this book to ask if I’d like to read it and take part in the blog tour next month. I jumped at the chance as I’d already heard of the book and thought it sounded like my kind of read. I’ll be reading this in the next couple of weeks ahead of my tour date. This book arrived in the post yesterday and was a total surprise. There was no note with it so I wasn’t sure where it had come from. I then remembered entering a Goodreads giveaway and it turns out I won a copy. I’ve been wanting to read this book for ages so I’m going to try and make time to read it soon. Two women. Two versions of the truth. 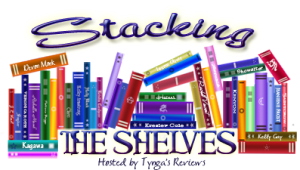 This entry was posted in Book Meme, Books, ebooks, Stacking the Shelves and tagged Adam Grant, Alyssa Sheinmel, Books, Diana Nyad, ebooks, Emily Ruskovich, Holly Seddon, Isabel Ashdown, Jane Corry, Lucy Atkins, Marie Kondo, Min Jin Lee, Sarah Tierney, Stacking the Shelves. Bookmark the permalink. I’m hankering after a copy of The Night Visitor too! You’ve got some great-looking books there, Hayley! And they’re so varied, too – I admire the fact that you read all sorts of different things. Thank you so much 🙂 I wanted to get back to reading a wider variety of books this year and am really enjoying it. Ooh, so many tempting books. The Night Visitor and Making Space sound like my kinds of books. I don’t think I could go as far as Marie Kondo with the de-cluttering, but I do love learning about reorganizing, and also finding out about hoarders and what makes them tick. I was on a “hoarding” study through fiction for a while, and then did some purging. I knew I didn’t want to cross that line! But I can’t get rid of all the things I love. I guess I could say that everything I keep does “give me joy.” LOL. Little Sister sounds SO GOOD! I certainly love siblings stories. I wonder if it comes from being an only child! I’m on the blog tour for Blood Sisters…. Same theme :p I hope both are as awesome as they look! I just heard about Faceless earlier this week, it sounds like a really good book and I think I’m gonna have to give it a shot now! It sounds really good, doesn’t it? I hope you managed to get hold of a copy and that you enjoy it.